Warner Bros. Interactive Entertainment announces as the title for its follow-up to the groundbreaking hit video game. In the first game, players use their imagination to write any word to bring that object to life and use it to solve puzzles. The original Scribblenauts for Nintendo DS has sold in more than one million units in North America alone since its launch in September 2009. Available in fall 2010, Super Scribblenauts for Nintendo DS expands the innovative elements from the acclaimed first title, offers upgraded controls and provides gamers with hours of original entertainment with ingenious, fun-filled new features. 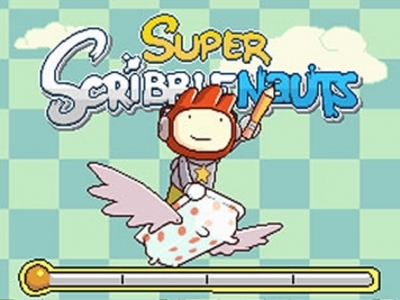 In Super Scribblenauts, created and developed by 5TH Cell, players use the stylus and touch screen to help Maxwell, the game’s hero, acquire the “Starite,” the prize earned from solving the puzzle in even more robust challenges and redesigned levels. All-new for Super Scribblenauts, players now have the ability to write any object that comes to mind and modify it in any way they desire using adjectives to reach the goal in many levels. Adjectives can change the color, size, style, behaviors and many other aspects of the object they are describing. Multiple adjectives can be combined together to produce incredibly creative objects, such as gentlemanly, flaming, flying zombies and purple, obese, winged elephants allowing the player’s imagination to run wild for an even more inspired and individual experience than ever before!